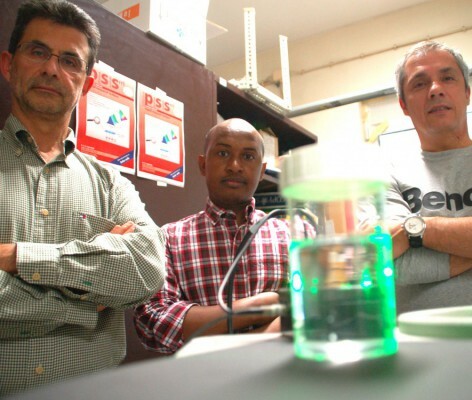 PhD in Materials Science and Engineering, University of Aveiro, January 2010 - December 2013. MSc in Materials Science (under Erasmus Mundus program), University of Aveiro, Aalborg University (Denmark) and Hamburg-Harburg University of Technology (Germany), September 2007 - July 2009. MSc program in Physics, Addis Ababa University (Ethiopia), September 2006 - July 2007. Coursework: Mathematical Methods of Physics, Statistical Mechanics, Classical Mechanics, Computational Physics, Quantum Mechanics I and Classical Electrodynamics. Higher Diploma Licence as a Certified Professional Teacher Educator, Bahir Dar University (Ethiopia), September 2005 - July 2006. BEd in Physics minor Mathematics, Bahir Dar University, September 2000 - July 2004. 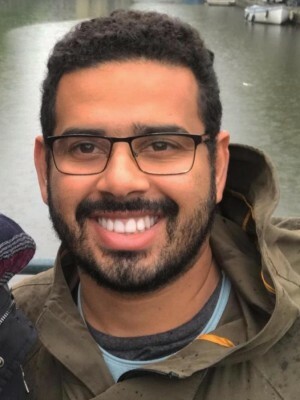 Junior Researcher at CICECO-Aveiro Institute of Materials, University of Aveiro, January 2019 - Present. Postdoctoral Researcher at CICECO, February 2014 - December 2018. 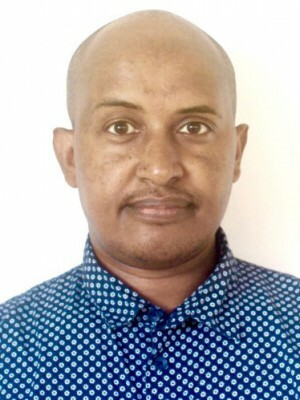 Lecturer, Department of Physics, Bahir Dar University, September 2009 - November 2009. Assistant Lecturer, Department of Physics, Bahir Dar University, July 2006 - June 2007. Graduate Assistant I and II, Department of Physics, Bahir Dar University, July 2004 - June 2006. - BPD – FCT - (2014-12-01 – 2019-01-10) SFRH/BPD/93884/2013. - BPD – CICECO - (2014-02-20 – 2014-11-30) BPD/UI89/6001/2014 - CICECO (Direção). - BD – FCT- (2010-01-01 – 2013-12-20) SFRH/BD/67108/2009. - MSc – Erasmus Mundus - (2007-09-19 – 2009-07-31). Journal of Luminescence; New Journal of Chemistry; Nanoscale; Materials Horizons; Journal of Materials Chemistry C; Chemical Communications; Journal of Physics D: Applied Physics; Nanotechnology; Dalton Transactions; RSC Advances; Molecular Systems Design & Engineering; Methods and Applications in Fluorescence; Journal of Alloys and Compounds; Ceramics International; Journal of Visualized Experiments; Langmuir; Sensors & Actuators: A. Physical; Materials Research Express. - Outstanding Reviewer Awards 2018: Outstanding Reviewer for Nanotechnology and Methods and Applications in Fluorescence, IOP Publishing. - Publons Peer Review Awards 2018: named in the top 1% of reviewers in the fields of Physics and Chemistry, on Publons' global reviewer database. - Outstanding Reviewer Awards 2017: recognized as an Outstanding Reviewer for Nanotechnology in 2017, IOP Publishing. - Outstanding Reviewer Recognitions (2017): awarded certificates of outstanding contribution in reviewing, by Elsevier, e.g., for Journal of Luminescence and Ceramics International. - Best Poster Award 2016 (1st Prize): Jornadas CICECO 2016, ENERGY-Trends and Future Challenges, Aveiro, Portugal, June 8 - 9. - Best Poster Award 2015 (1st Prize): Jornadas CICECO 2015, NANOTECHNOLOGY ... FROM THE LAB TO THE INDUSTRY, Aveiro, Portugal, April 14 - 15. FCT Ref. PTDC/FIS-OUT/31469/2017 (Principal Investigator). Funding: 221,702.30 €. Period: July 2018 - June 2021. FCT Ref. PTDC/BTM-MAT/31794/2017 (Team Member, 15%). Funding: 235,080.68 €. Period: August 2018 - August 2021. FCT Ref. PTDC/CTM-NAN/4647/2014 (Team Member, 70%). Funding 183,945.00 €. Period: July 2016 - June 2019. 2015, NANOSCALE, 7, 41, 17261-17267. 2013, MACROMOLECULAR MATERIALS AND ENGINEERING, 298, 2, 181-189. 2013, ADVANCED MATERIALS , 25, 35, 4817-4817. 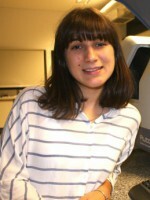 2012, NANOSCALE, 4, 16, 5154-5162. 2011, JOURNAL OF PHYSICAL CHEMISTRY C, 115, 31, 15297-15303. 2013, supervised by Luís António Ferreira Martins Dias Carlos; João Rocha. 2009, supervised by Luis D Carlos.